Cricket is the most popular sports in India and people religiously follow it. This sport is also available as a game for PC and smartphones. Google Play store has lots of cricket games, and it confuses people in deciding what game to download. If you are searching for a good cricket game for Android, you are in the right place. 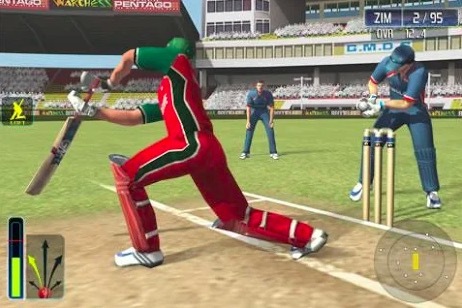 In this article, we are listing the best cricket games for Android. These games include full cricketing experience with real-world moves. You can either play a full match or just play short challenges if you have less time. 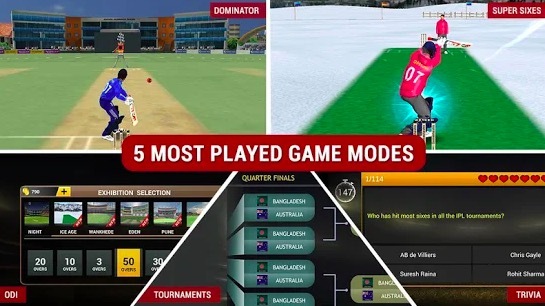 All the cricket games listed here are free, but there are options for in-app purchase. 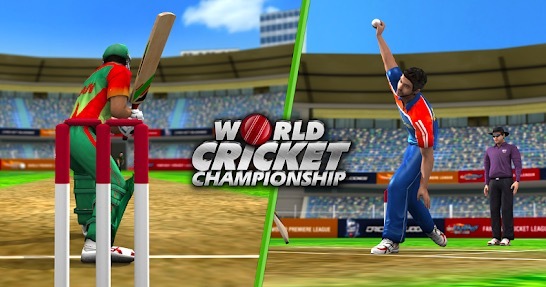 World Cricket Championship 2 is the best cricket game available for Android devices. The game already has over 10 million instead and is rated 4.6. It shows the popularity of the game. 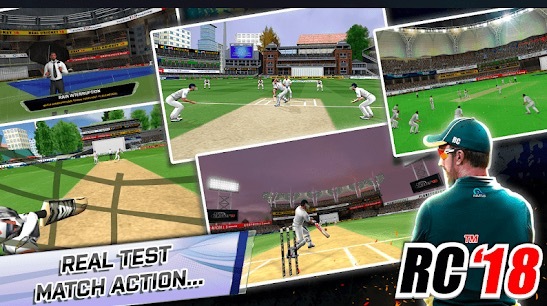 The game has 3D graphics and offers most of the cricket shots you may try to use. You can try poplar Dil-scoop from Dilshan or Helicopter shot of Dhoni. The game has over 140 different batting animations. There are 14 different bowing actions. It has most of the cricket things including Hot-Spot & Ultra Edge for LBW and Edge. If there is rain, it has a D/L Method. It has Realistic ball physics with the real kind of response. If the batsman plays a poor shot, he may get injured. Emotions of players during the game are also realistic. There are 18 different international teams and 10 domestic teams. You can play the game in any of the 24 different stadiums. The game has 40+ in-game camera angles and also shows ultra-slow motion action replays. 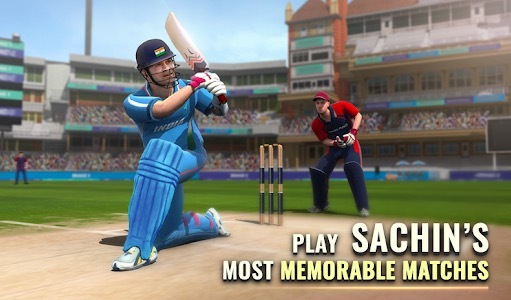 Not just cricket game, the game also features English and Hindi commentary with dynamic ground sounds. That makes this game even better. 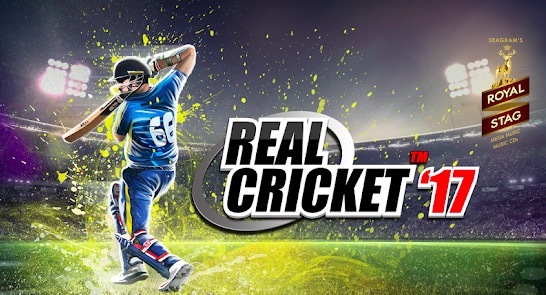 Real Cricket 18 is another excellent cricket game for Android devices. The game comes with each aspect of the cricket to give you real game like feel. The game has 16 Different World Cricket Championships including the World Cup, Under 19 World Cup, Champions Trophy, Asia Cup, IPL and more. 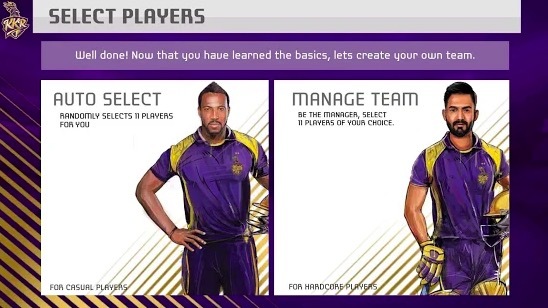 In the IPL, it even allows users to participate in the IPL Auction building and make a dream team to play. The game also comes with a test match option to play. If you like the longer format of the game, you can play that here. You can choose team, ground and even select the preferred time of the day to play the match. You have different kinds of boilings to play including Off Spinner, Arm Ball, Doosra, Leg Cutters and more. Same goes with batting where you can play lots of different kinds of shots. As the name suggests, this game brings world cricket tournaments. It includes World Cricket Championship, World Premier League, and Super Fantasy Cricket League. The game comes with high quality graphics that give you real feel and professional commentary makes the experience even better. You can play with AI team on the app. If you want to play with friends, you can challenge them and play. This game is also really popular with over 10 million downloads and is 4.4 rated on the play store. T20 is the short form of cricket and has become really popular after IPL and similar T20 cricket leagues. If you really enjoy T20 cricket, this cricket game for Android is for you. The game comes with 3D graphics that gives you good cricket experience. It features realistic animations and ball physics. The game has easy controls for both batting and bowing. There are 6 different venues to play the game and eight world-class teams to choose from. You can select from different gaming modes including Quick Match, ODI, Twenty 20 and the Trophy 2009. You can also submit your score online to see where you stand among other games across the world. Real Cricket 17 game is from the same company that Real Cricket 18. I am including both games in the list because both are worth to mention. Real Cricket 17 is also a similar game with 3D graphics and amazing experience. The game feature test matches, premier league auctions, champions cup, major T20 domestic tournaments and more. The game also features a multiplayer mode that allows you to play the game against your friends. The game has amazing graphics that look really great. You can select any tournaments and start enjoying the game. It has realistic animations and different camera angles to show the replay. Sachin Saga is a new game officially by Sachin Tendulkar himself. Sachin Saga game comes with two different game modes including Legend And Event. The Legend mode comes with tasks or targets such as score 30 runs on 40 balls or similar targets. IN event mode, you will be building your own dream team and play with your squad. The game lets you play with the latest players and global teams will also have the latest players in the team. There are over 120 Legendary cricketers to be collected from the latest teams. The game has realistic motion-captured animations and offers good graphics. The company behind the game claims that the game has over 5 million players enjoying the game. As the name suggests, Cricket WorldCup Fever is basically to enjoy the World Cup game. But it also features a short form of cricket if you want quick gameplay. The game comes with 4 exciting modes of play that are Quick Match, Power play, World Cup and Pass-N-Play. The game offers high-quality HD graphics. It shows dynamic Fielding motion captured from the different camera. You get the full control of batting and bowling order. You can use spinner, Fast and Medium Pacer Bowling Options. There are 14 teams, 6 stadiums & 3 difficulty modes. The game also shows Ball-by-ball Over Analysis just like a real game. If you are a cricket fan, you already know about the MS Dhoni Movie. This game is the official cricket game of that Bollywood movie. It is a free to play cricket game and is the part of another popular game Cricket Hungama 2016. In this game, you will be playing the role of Sushant Singh Rajput who is active like MS Dhoni. The objective of the game is to score runs when you are batting and dismiss the opposing batsmen when in the field. The game is simple and easy to play. 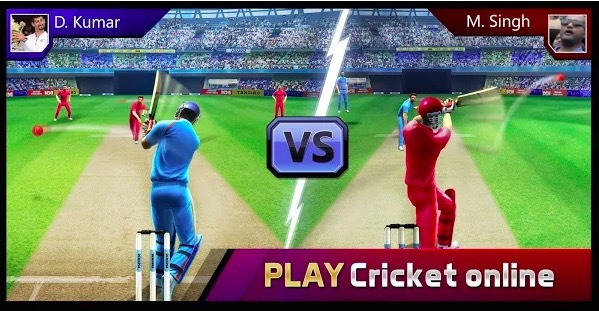 It features unique bowling mechanic, Manual Catching system, dynamic artificial intelligence to ensure different matches each time you play a new game. You have 1o different world class international teams to choose from. Smash Cricket is basically the T20 cricket game. The game does not need an active internet connection to play. It has different cricket modes including the World Cup where you have to beat other teams and become the world champion. There is a mode called Online War where you will play against friends in online matches. There are 40 real cricket batsmen and bowlers to make a dream team and play against other teams. You can play 6 different tournaments including World Cup 2015, Premier League, Super Series, Champions Cup, Challengers Cup, and World Cup 2019. The game features realistic physics that makes the game more realistic. There are also in-app purchases to upgrade your team to become better, faster, stronger! Smash harder. KKR Cricket 2018 is the official cricket game of Kolkata Knight Riders. If you are a KKR fan, this game is a treat. In the game, you can play as any of the KKR players including Chris Lynn, Sunil Narine, Robin Uthappa and more. You have 3D Graphics that offers realistic experience. There are 200+ Motion Captured animations. When you hit the sixes, you can also see cheerleaders supporting you. You can manage your team based on the performance and play the game. The also features all-new English Commentary to make it more realistic. 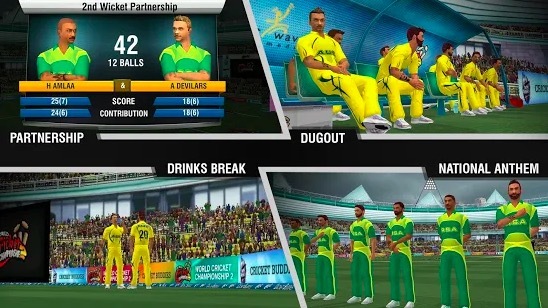 These are some free cricket games for Android. You can download any of these games from Play sore and start enjoying the most popular sports in India. All these games have their own unique selling point. So, read about the game before deciding what to download. These games have good gameplay, graphics, and animation. If you know any other good cricket game for Android, you can recommend it using the comments section below. I will check that and see if that is worth to be listed here.